The neighborhood sirens scream. I grab the baby and call my kids into the hallway, checking my phone to figure out just how far away the tornado is. Tornados come when winds pick up in the spring and fall. The wind can be scary, but most days we enjoy the breeze. 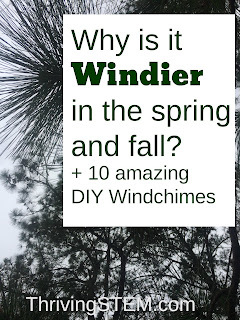 It's a great time to build a wind chime, and I have ten amazing wind chime ideas for you. Why is it extra windy during spring and autumn? What's so special about spring and autumn? To understand why the winds pick up in spring and fall, think about what else is happening. In the spring, the suns rays are becoming more direct, and beginning with the Equinox, are hitting the earth for more of the day than not. The result of this direct radiation from the sun is that the air near the surface begins to warm. You may have heard the phrase "heat rises." That isn't true, but warm air rises. As the air particles heat up, they expand to a greater volume for the same mass. This is called lower density. You could say that the warm air weighs less. It begins to float for the same reason boats float. As the warm air rises, cool air flows in to replace it, and the result is known as wind. In the fall, the whole system works in reverse, with warm air being forced out of the way. Exactly how the wind will blow can't be exactly predicted. They follow a pattern best described by Chaos Theory. 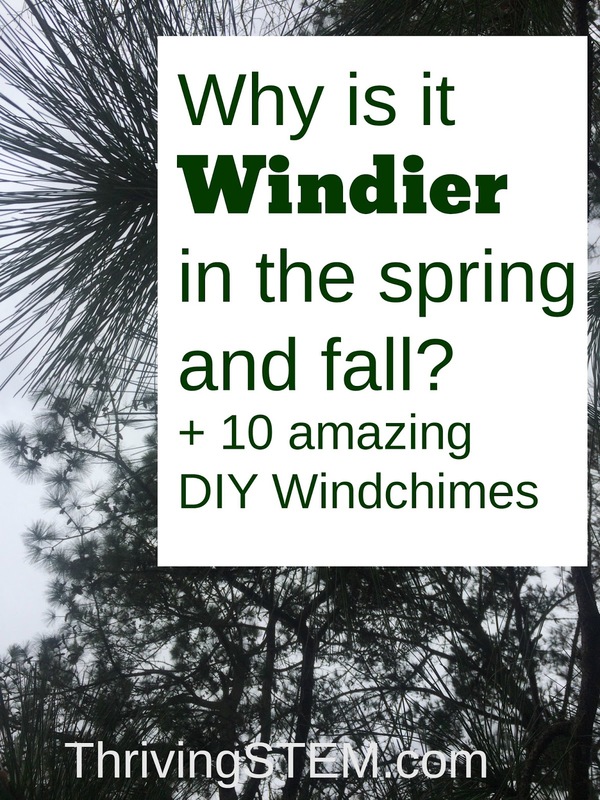 I have some amazing Do IT Yourself wind chimes to help you take advantage of the breezes. Wishing you a gentle change of seasons, with no tornadoes and winds just right for a lovely wind chime. I adore wind chimes! You have featured some really fun ones in this post! Thanks Mary Anne! I think so too.